Ring! Ring! It's time to get back to class for many teachers and students. Every school year is new and different so how about adding some new and different icebreaker activities to your first weeks' activities? These FREE Back-to-School Brain-Boosting Activities encourage students to think creatively about themselves and the back-to-school season. Plus, as their teacher, you'll enjoy learning about your students in thoughtful and interesting ways! 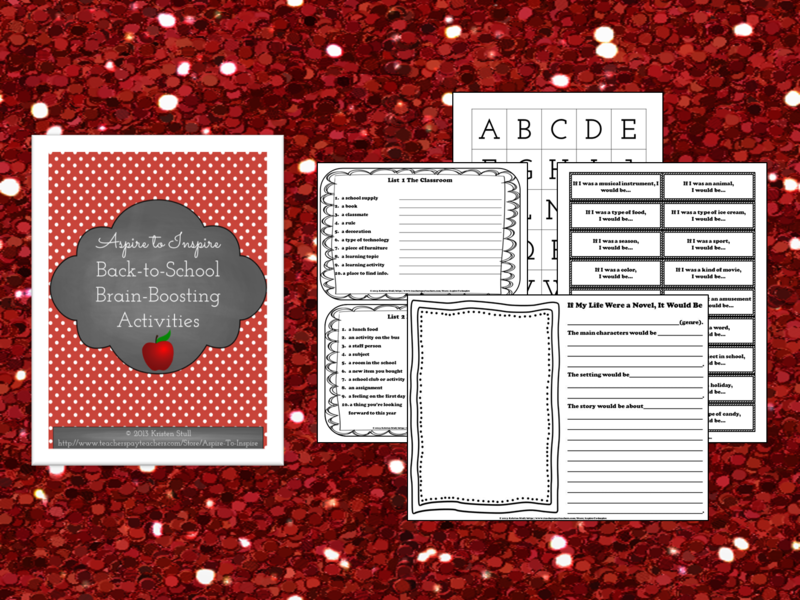 Included are prompts for an "If I Was..." personality game; an "If My Life Was a Novel" life story & book cover template; and a back-to-school categories game based on Scattergories. These activities focus on many of the language arts, including reading, speaking, listening, and writing, and get students practicing these skills right away. Wishing you an inspiring year!